My family and I recently travelled to Iceland for a 2 week break and for me to source our new products. 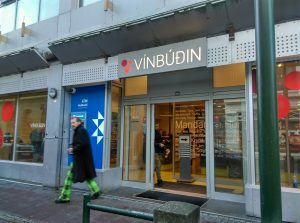 It’s well known that Iceland is one of the most expensive places in the world to visit but is it possible to make it more affordable? The answer is yes. Follow some of the tips in this guide and you will save yourselves a lot of money. I’m not saying that Iceland will become a cheap experience – it won’t but it will allow those of you who can nearly afford it to afford it. 1. Book your flights early. This old chestnut again! It’s true though. Wizzair and Easyjet offer amazingly cheap flights from Europe if you get in early and are flexible with dates. Use the flight comparison site skyscanner to save you going to each airline directly and save you time. Book an extra bag to take food with you. Iceland’s food prices in the supermarket are 2-3 times more expensive than in the UK. Nothing is cheaper so the extra bag with Easyjet is about £40 which allows you to pack about 15kg of food to cook. You will definitely save £40 buying it at home – especially if its alcohol. Alcohol is super expensive to buy over there. 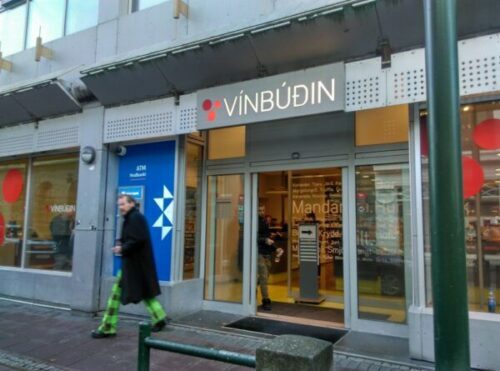 You can only buy alcohol over 3% ABV from the government ran Vinbodin store. 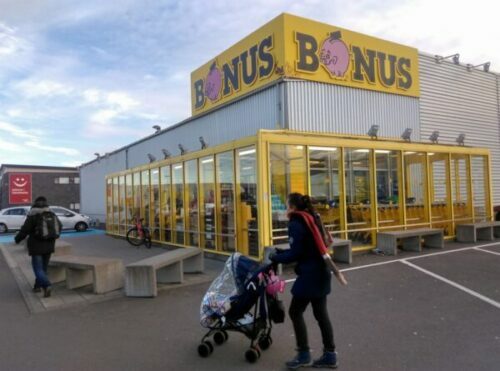 Bonus Supermarket is the cheapest in Iceland. There are very few and they don’t even open on Sundays (our last night was a Sunday). You can buy beers under 3% from the supermarkets but nothing else. We used Airbnb to get ourselves a whole house and kitchen. Its comparable with hotel prices but with the bonus of more space and facilities. Almost all have Wi-Fi. 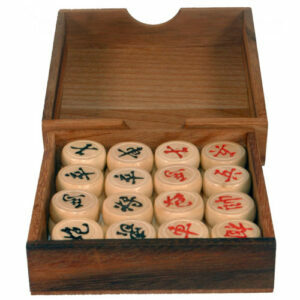 This allows savings to be made easily. When you consider even a hotdog costs £7 you realise that eating out is going to kill your wallet. We cooked most of the time. We still had to buy food over and above what we carried in the extra bag (see (1)) but being able to buy from Supermarkets such as Bonus (The cheapest supermarket in Iceland) and Netto is way cheaper than eating in a restaurant. It’s hard to find out about it on the net. Those Icelanders are keeping quiet about it but it’s possible to get to and from the airport by public bus and avoiding the overpriced flybus. Sure it doesn’t run quite as often and takes 10-15 minutes later but if it’s going to save you 20 bucks then it’s worth it. The official flybus is 2700ISK each way (approx. £20) whereas the public bus is only 750ISK. You can find the timetable here. If you want to go to Videy Island (Where Yoko Onos Peace Tower is) then don’t book a tour. Use the boat. It’s so much cheaper at 1000ISK. Check the timetable here. You can get over gratis on John Lennon’s birthday thanks to Yoko (9 October). 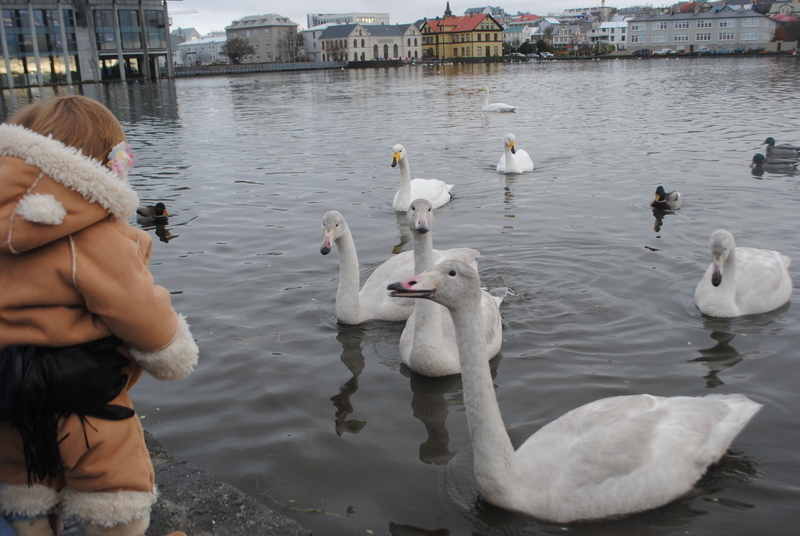 Reykjavik is a very compact city with most of the mains sites within a 2km square area. It’s not difficult to walk around and not need any transport within the city. The BSI bus terminal is also easily within walking distance of the centre. Only a 5 minute walk from the southern point of the lake. We even walked out to the fabulous Grotta Lighthouse at the cities westernmost extreme and it only took about 40 minutes along the lovely coast. Make sure its low tide so you can actually reach the lighthouse which is on a little island on the peninsula. It’s well worth it by the way. Tide times can be found here. It’s a great free place to see the Northern Lights. We bought some beuatiful lava bracelets, made from the local lava which can be purchased here.